Save the date and spread the word! 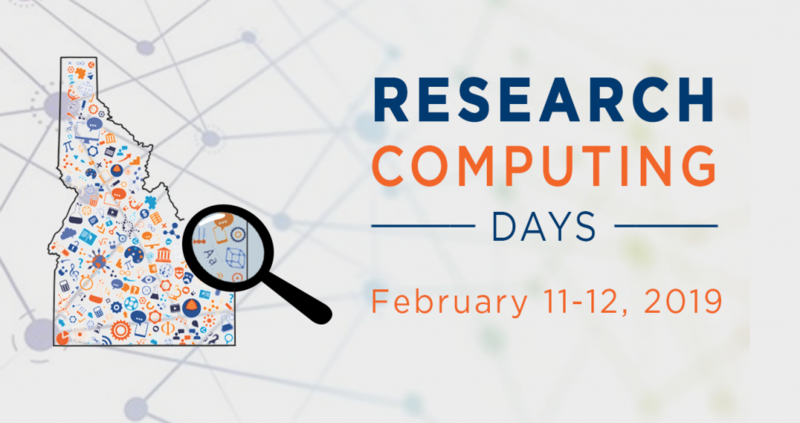 Our annual Research Computing Days events are scheduled for February 11-12 at Boise State. Software Carpentry Courses – Unix Shell, Git, Python, MATLAB, and R. Register now! Poster Session – Share and explore computational and data-intensive research being done by students. Call for Posters: Please encourage students to participate using our online submission form. Prizes: Amazon gift cards will be awarded for first ($200), second ($125), and third ($75) place posters. Guest Speaker – We’re excited to announce Jonathan Cohen, Senior Director of AI software at NVIDIA and past Director of Software Engineering at Apple, will give a talk titled, “The Convergence of AI and Scientific Computing.” Early in his career, Jonathan developed technology for the feature film visual effects industry, earning film credits on movies including Spider-Man 3 and The Cat in the Hat. His pioneering work was recognized with an Academy Award for Technical Achievement in 2008. Read more about Jonathan and his talk on the Research Computing website. HPC Labs – learn how to access to and run jobs on Boise State’s R2 Cluster. Computing in the Cloud – Amazon Web Services will be onsite presenting introductory and advanced cloud computing workshops. They will also be available for one-on-one consultations. More info to come. Free lunch sponsored by the Office of Information Technology and the Research Development Office. Research Computing Days is a free event for members of Idaho’s research and education community who are interested in learning more about scientific programming, data science, and compute. Stay tuned to the Research Computing Support website for updates about Research Computing Days and additional event information. For questions or additional information about Research Computing Days, contact researchcomputing@boisestate.edu.